Okay, for the sake of completion, lets begin our quest with the stuff that is not so interesting. 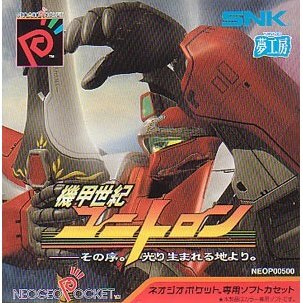 These are the games that have put the least effort into informing you that you wasted your money when you purchased the Neo Geo Pocket. Perfunctory screens with minimal text and sometimes the odd bit of background music. Let’s get them out of the way first so that we can move on to the more interesting stuff...and that all important SECRET GAME! 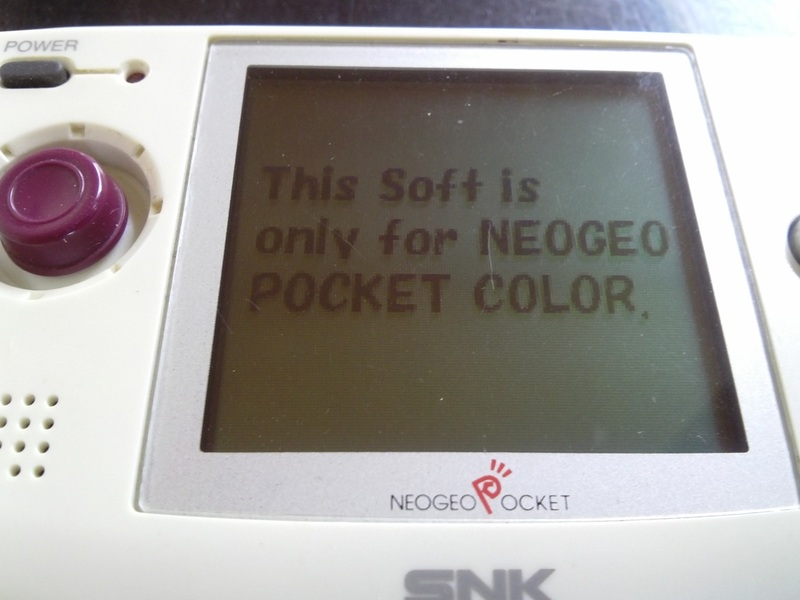 A game that’s recently become quite expensive to obtain due to both its niche genre and the fact that it is fully translated (and playable) in English is this SNK grappler. 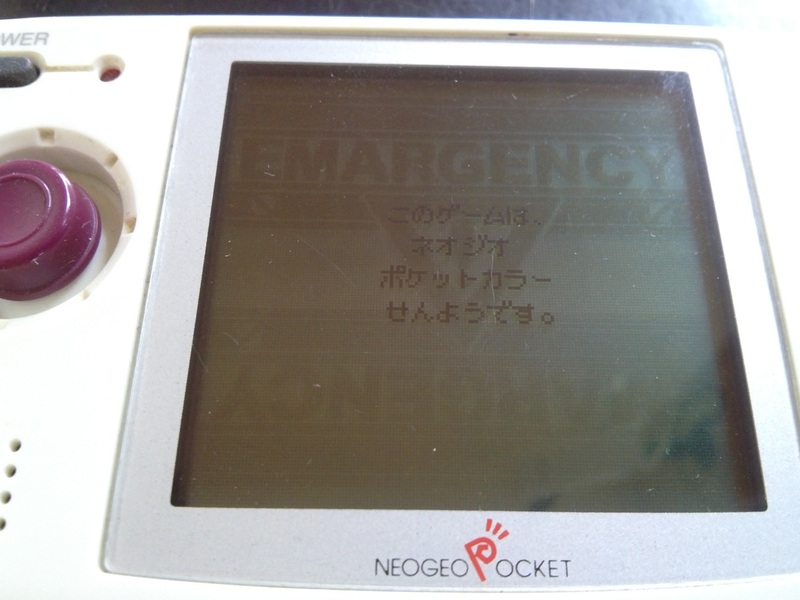 Oddly, despite the original NGP never getting a western release, its perfunctory Japanese message displays in English if you have the system set to that language. 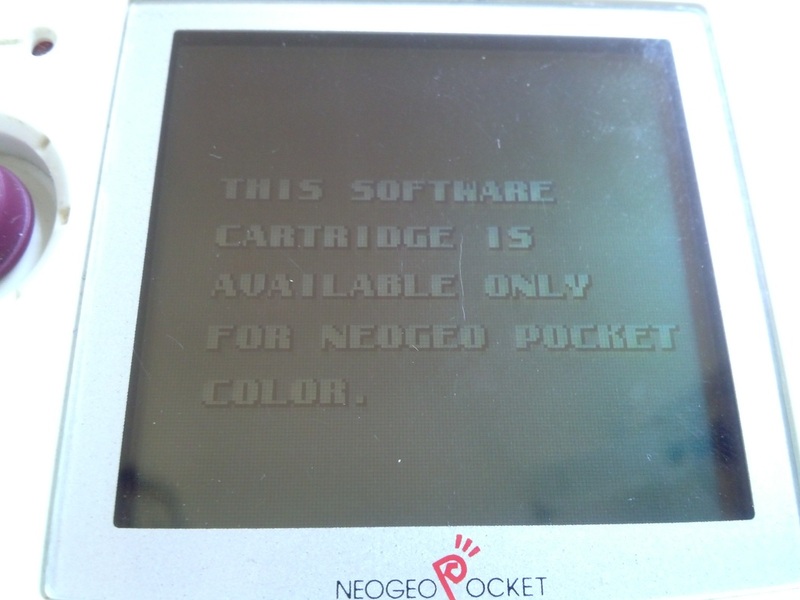 It’s odd that a screen which westerners would never have seen was given a translation. As it is, it's a dull affair. Just some text. Moving on. 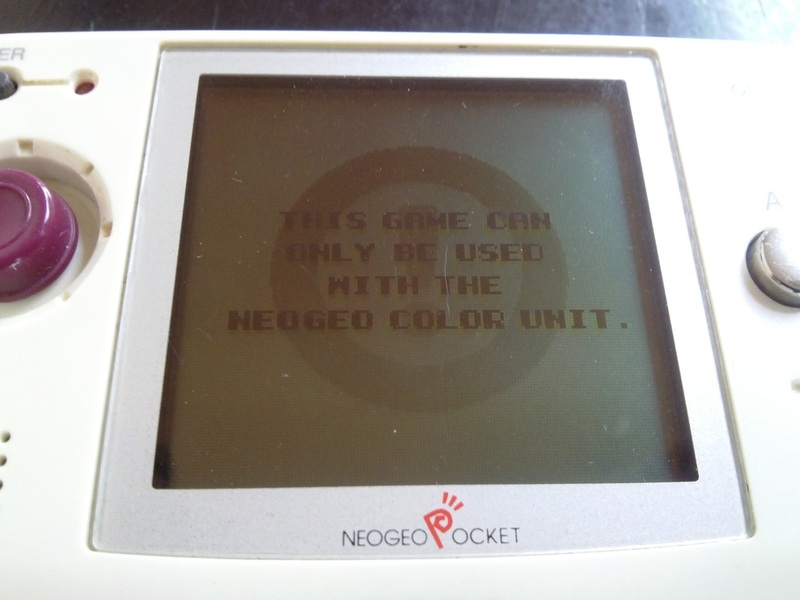 The original Bio Motor Unitron runs just fine on a monochrome system, so it seems odd that its sequel was locked off. 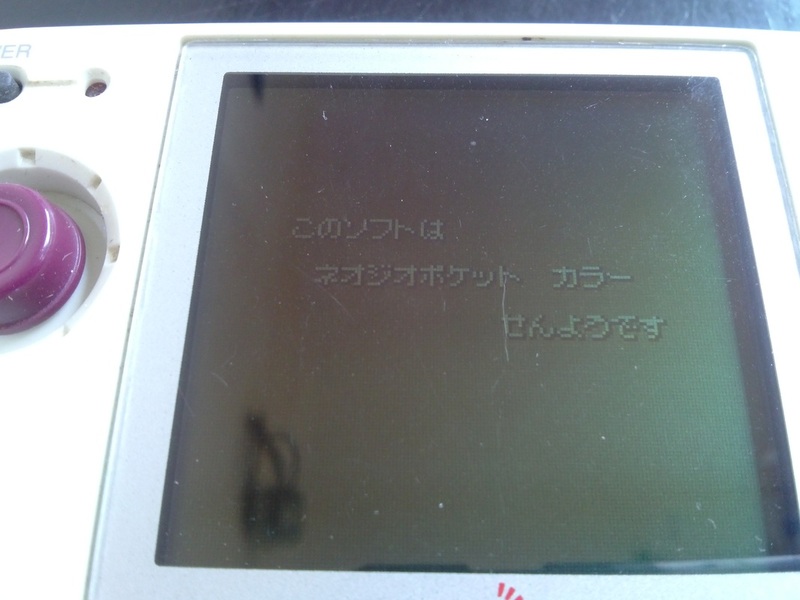 All we have left is this message in Japanese and a bit of comical mis-spelling. 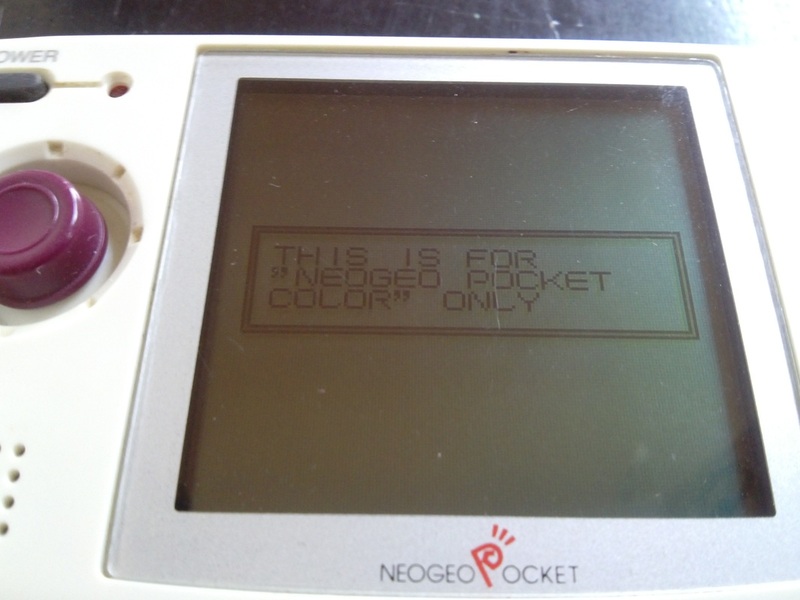 ​You can have Green Hill Zone but apparently not Grey Hill Zone as, despite his monochrome appearance on the ​Game.Com, Sonic’s NGPC adventure is locked off to those who purchased a black and white Pocket system. Of course, Sonic’s appearance on a non-Sega system was a lot more of a coup back then than the cultural norm that it is today, so it’s perhaps unsurprising that SNK and Sega wanted him to look his best. The awful ghosting of the NGP wouldn’t have done him any favours either. 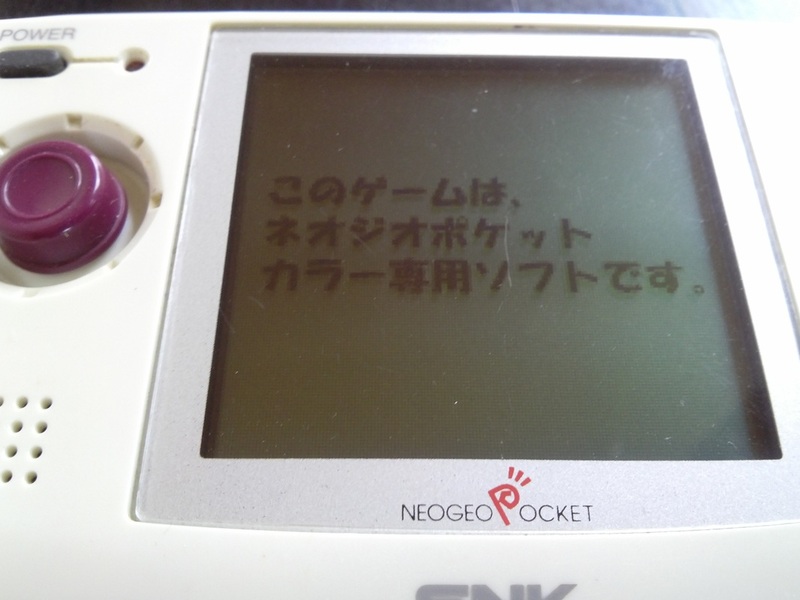 Perfunctory messages in both English and Japanese depending on the system setting are all that greet Neo Geo Pocket owners when they try to boot up his game. 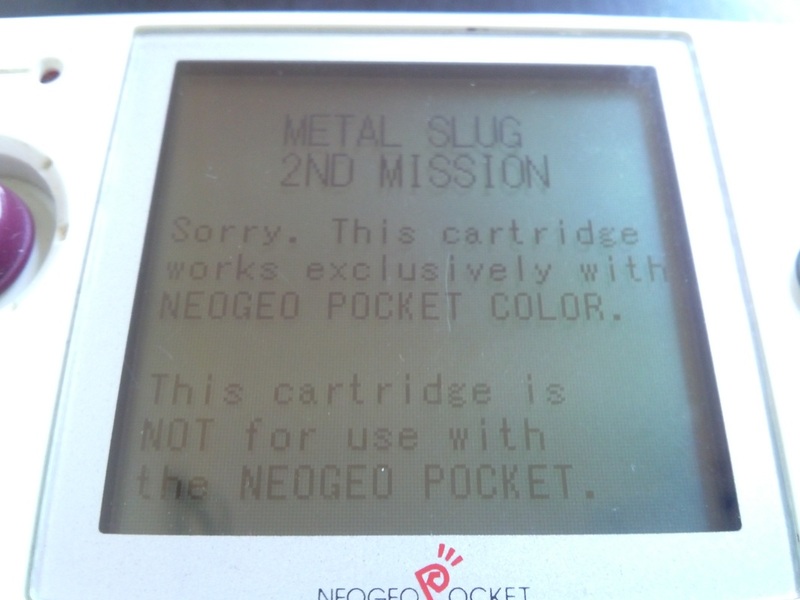 Once again, we find a NGPC series where the first game is fully backwardly compatible yet the sequel is locked off to NGPC users only. 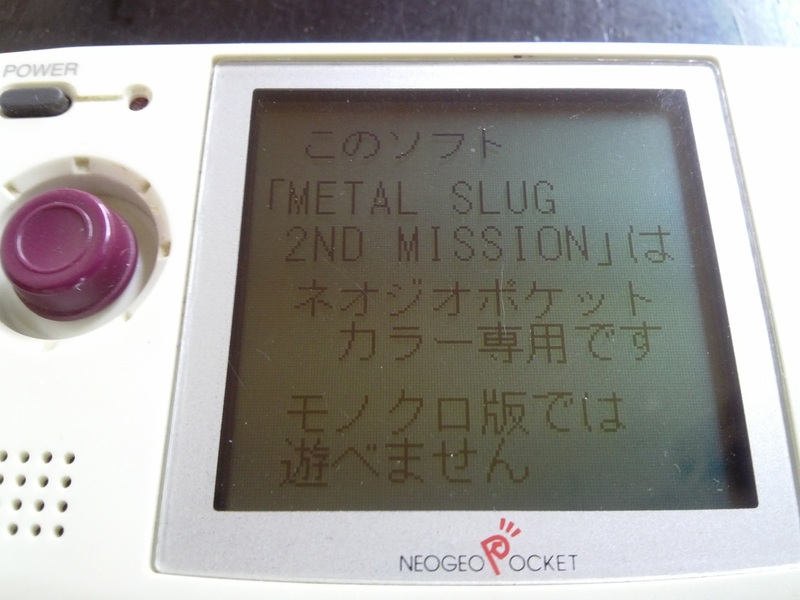 This time it might be for technical reasons since Metal Slug: 2nd Mission was one of the largest games on the system. Like Big Bang Pro Wrestling, the language of your message will depend on your system settings. Continuing the slightly odd trend of sequels not being backwardly compatible, Puzzle Link 2 gives a merely perfunctory message, even if it does come in a slightly nicer font than the others. A disappointing effort when you consider what other fighting games from the same stable manage. Thankfully it's the last of the boring screens and what follows is a whole lot more fun. Right then, that was dull wasn't it. Well if a job's worth doing, etc, etc. Are you ready for some secret, hidden artwork? Then follow the link below to see what's hidden away in some slightly more creative secret screens as we get ever closer to that elusive HIDDEN GAME!